This is a very progressive course in Digital Humanities and I would highly recommend it to students who want to study outside of Australia (well, there is no real option in Australia yet anyhow). And Simon and Melissa are really nice. Check them out! I recently attended a seminar at UWS on Friday 26 April, 2013 led by Lynne and Ray Siemens of the University of Victoria in Canada. The theme of the event was collaboration in the humanities and in particular; how digital humanities projects exemplify effective collaboration in the broader humanities. This is because digital humanities projects often cross-disciplines and geography and the often more demanding collaborative terrain of computer science, computational methods and the humanities. Lynne Siemens, specialises in project management and team building. She stated that people aren’t always well-trained to work together and outlined some of the positives and negatives of working in teams. She claimed that some people are better able to collaborate than others, often because they have developed skills of listening, are flexible, can negotiate, and can compromise. Lynne described these as the ‘soft skills’ of effective collaborative teams. A team approach often produces more diverse and possibly higher quality ideas (and is a good way to learn new skills and perspectives), but some projects are better done as an individual (but of course, some projects are beyond the scope and skills-sets of individuals). Lynne outlined some of successful team interactions she had observed, partly through research she had undertaken through case –studies. Good communication skills are vital, as is project management, and the ability to think across technology and the humanities and indeed, culture and language. Also the objectives of the team, the outcomes, and the individual tasks need to be clearly described with not too many grey areas that may be potential areas of conflict. And teams operate within institutional contexts so there are certain contingencies to negotiate either within or between institutions. Still, one of the best ways to build teams is through casual conversations, lots of face-to-face meetings, and large bottles of rum (I put in the last one). Ray Siemans is a Professor of Humanities Computing at the University of Victoria in Victoria, Canada and is well known for his work in the Digital Humanities and in particular, through the founding of the annual Digital Humanities Summer Institute (that I attended 2 years ago and now attracts around 500 participants). He discussed the important work of the digital humanities, particularly around content modelling and computational analysis of content (a core form of scholarship within the field). He also discussed the typology of curriculum development in the digital humanities either through stand-alone degrees or through digital humanities inflicted programs and in particular, the highly successful Summer Institute model. Milkbar:The Everyday City and Globalisation was a project that sought to uncover some of the stories and concerns of some of the local residents of Fitzroy; an inner city Australian community. The videos assembled here are part of a larger project on the subject completed in October 2002 (more details below). Forty four people within the suburb were interviewed with a video camera with the purpose of creating a record of a local, inner-city community in a significant period of change and to try and understand much of this change. It is an attempt to critically objectify historical change at a local level through an online oral history. (This video is all the interviews stitched together. The individual videos with some contextual information are also on YouTube). 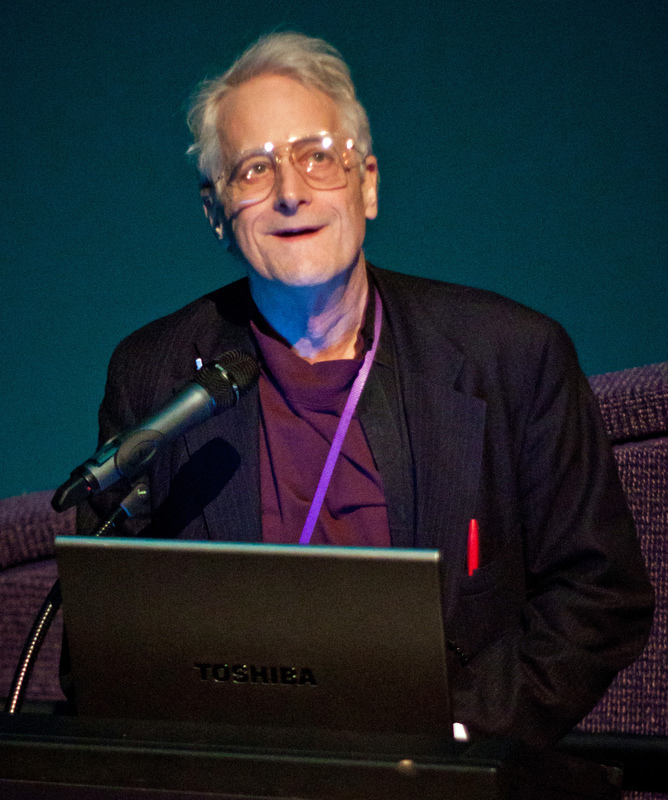 This is Ted Nelson demonstrating Project Xanadu. Nelson first coined the phrase 'hypertext' in this article: Nelson, Theodore.H. A File Structure for the Complex, the Changing and the Intermediate Proceedings, Association for Computing Machinery,1965. This is my 1998 Masters thesis completed at the University of Melbourne in 1998. This was my first serious inroads into the ‘digital humanities’ and some of the language within it now seems very dated (ie CD ROM). I was reflecting upon how I entered the digital humanities after being prompted in a stimulating article by Johanna Drucker in a book (Debates in the Digital Humanities) that I am reviewing. This was perhaps my most personally-extending work as many of the individuals in the bibliography I have since met and many have become colleagues and even friends.